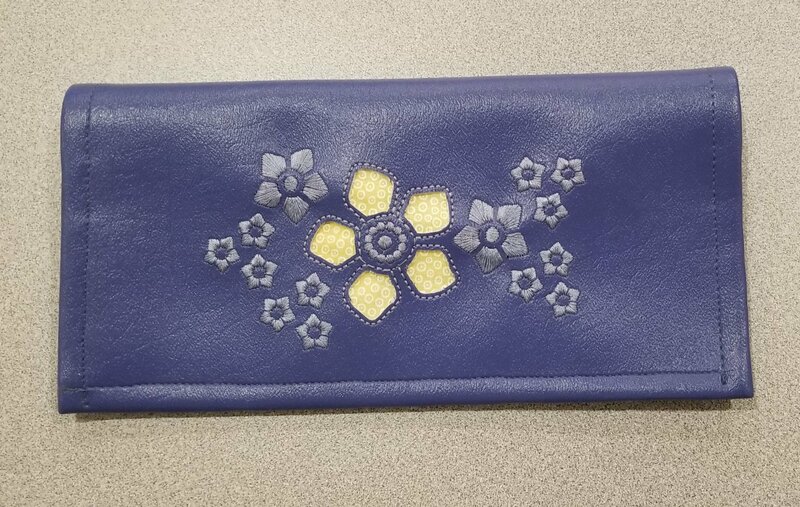 Join us for April's Technique of the Month- working with Cutwork Needles for applique embroidery, making this stylish billfold. Cutwork needles are exclusive to Husqvarna Viking Embroidery machines and make quick, easy work of reverse applique designs- no need to scissor cut! Embroidery design and materials will be provided.